Juvéderm® Facial Fillers are designed to improve volume and smooth lines around the eye area. Using hyaluronic acid, this treatment leaves you with beautiful, plumped, youthful skin. 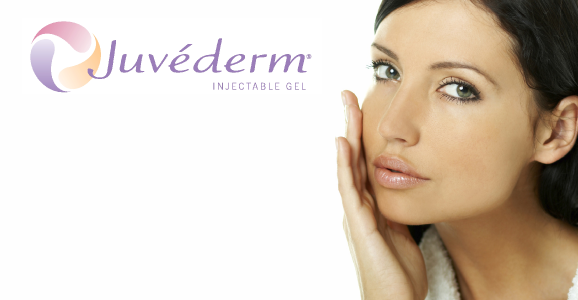 A clinical professional will use a thin needle in order to inject the Juvederm gel underneath your skin. This gel will start to distribute and fill the fine lines or wrinkles in order to plump them up. Juvederm treatments reduce and smooth fine lines, puts volume back into your cheeks and reshapes lips and facial contours. Our trained doctor will discuss all the options available to you dependent on the needs you have. The aim here is to give you as much information as possible so you know what to expect, along with deciding what treatment is best for you. The consistency of the filler allows the doctor to inject it fairly smoothly and pain free. However, you may experience slight pain from the actual needle itself. Following a filler injection, you may see redness, swelling, or bruising at the injected area. These effects should not last for more than a week, however if you continue to experience problems, consult your doctor. Book a consultation now for more information on how we can help you with Juvederm.